Manhattan Toy has it all! From Dr. Seuss to Baby Stella and all in between! I got to try out the Baby Stella for my daughter's. 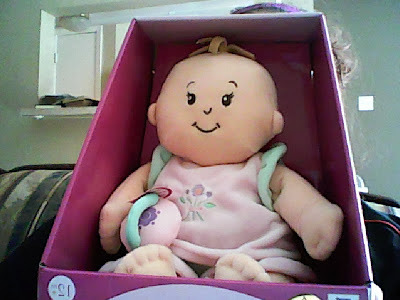 Baby Stella is soft, neat crafted doll! She has realistic toes, a belly button and a plump baby tummy. She comes with a pacifier but what is so cool about it is there is a little magnet in the pacifier that holds it to Baby Stella 's mouth! I like this because it saves my one year old from losing it! And my 3 year old likes to take it off and put it back about 100 times! Another thing that I adore about Baby Stella is that you can change her outfit! And its easy! There is so many cute outfits like the Rainy Day Outfit to the Sun Day Outfit. There is just so many to pick from! Also this outfit that Stella came with is so soft I want to cuddle with her! You can also check out the other accessories like the Happy High Chair and Feeding set! With these your child can role play and learn so much! Check them out this is the perfect gift for any little girl! Now you can win a Baby Stella! 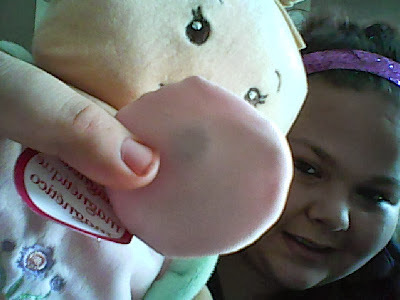 A special thank you to Manhattan Toy for sending Sassy Mom, 2 Spoiled Bratz Baby Stella free of charge to review. All opinions stated in our review are our own truthfully opinion and were not influenced by the sponsor or from getting the review product free of charge. We were in no way compensated for our review or opinion. 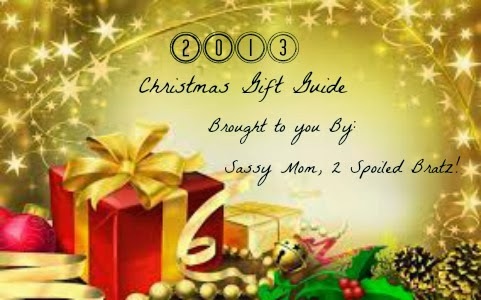 Sassy Mom, 2 Spoiled Bratz only recommends products and services that we feel are a good fit for our readers. I would give her to my adorable niece. The doll is cute and I like that the accessories are easy to use, perfect for the little ones. 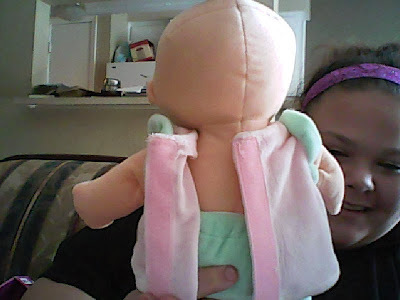 I would love to give this doll to my best friends daughter. They just moved here and she would like another friend.